Tassiriki Ranch offers cosy cabin-style holiday accommodation in a quiet rural environment with a variety of boutique horse riding activities featuring horse riding trail rides on secluded beaches. 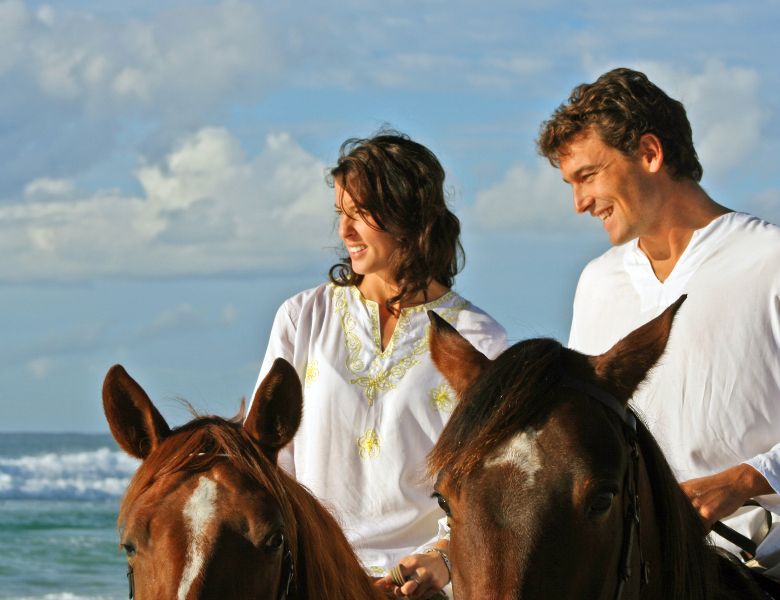 Stay & Ride Holidays, riding lessons & pony rides, couples & group beach rides plus so much more! Nestled amongst the cane fields on the North Coast of New South Wales just 15 minutes from the North Coast town of Ballina, Tassiriki Ranch occupies 40 acres of lush grasslands just 800 meters from secluded South Ballina Beach. Horse riding activities are available to guests staying at the ranch (see Stay & Ride) as well as day-visitors. Guests with their own horses are welcome to bring them on holiday and experience a beachside horseriding holiday together. Tassiriki Ranch also offers "quality care for your horse" with short-term and long-term agistment available in both shared paddocks and private stables.